What makes the difference between a successful startup and a failed venture? A quick round-up of statistics found that significant numbers of startups have trouble with funding, with 38 percent of startups failing to raise more capital after the first round. Those who self-fund face a steep learning curve in decision-making, such as how to compete in an industry, when to scale their business, and how to structure their organization. In this light, hiring employees for your startup is one of the most important decisions you can make. … the experiential organizations had more than four times the average profit and more than two times the average revenue. They were also almost 25% smaller, which suggests higher levels of productivity and innovation. At this point, you might think, “It’s great that big companies can use their resources on their people, but I’m still trying to hire employees for my startup with my own money.” But the question is which comes first: the people, or the money? Before you can focus on either, you need to make some important decisions about your startup. Vision: What is your organization’s purpose (beyond making money for its founder)? To sustain long-term interest among employees and investors, the business doesn’t just need to stay solvent—it needs to stand for something. Mission: What is your organization’s goal? How will you measure success? Is your mission to become the most recommended software program in your industry, or is it to make it to IPO status in three years? Values: How does your organization want to realize its vision? Values aren’t just phrases on motivational posters with cute kittens hanging from tree branches—they’re foundational to the way you and your employees conduct business every day. Do you believe in a competitive or collaborative workplace? How would you describe the ideal relationship between managers and employees? How does the company make and talk about big decisions? Culture: Company culture is the summation of how people within an organization interact with each other and work together. A workplace will have a stated culture (how the organization promotes or describes its culture) and an actual culture (how the experience actually plays out). Your startup’s mission, vision, and values will all have an influence on your actual culture. In fact, while managing the stated culture is important, simply making a change in how you describe your culture won’t automatically change the actual culture. One BambooHR employee gave an excellent example of a jarring disconnect between stated and actual culture: After presenting a new set of values to the company, the CEO of his previous company concluded the presentation by saying, “I hope you like our new values. It cost our PR firm $10,000 to put them together.” For some reason, this employee didn’t feel that his company fully believed in the values they presented. Employees don’t join or stay with a business based on the business’s PR budget. Long-term employee engagement and success starts when employees’ values align with the business’s actual culture. Understanding the culture you want to create is the first step to hiring the best employees for your business, whether you’re making your first hires or promoting your starting lineup to managerial level and adding another level of employees. There’s a local billboard for a DUI lawyer that reads: “If it happened to me, I’d call…me!” While this might be effective marketing, it’s not a great recruiting strategy. As you select your first employees, it’s important to make sure that you’re getting a diversity of experience and backgrounds rather than trying to duplicate your own experience and strengths. Learning to recruit for lasting results takes more than reading a single article. But there are a couple of strategies to consider before you start recruiting your first ten employees and to teach those first employees before they hire additional employees. First, recognize the effects of personal bias on the interview process. A New York Times article by Jason Dana of Yale University highlighted research where college students were instructed to assess the performance and reliability of interview candidates. Some students were instructed to respond “yes” or “no” based on an unrelated factor (like the first letter of the question), while a control group gave genuine answers. At the end of the study, the interviewers reported that they “got to know” the inauthentic students better than those who gave genuine answers. Just because someone seems confident in an interview doesn’t mean they have a reason to be. And while a personal connection is important among the founding members of a startup, it shouldn’t compensate for a lack of capability. How can you counteract this effect? By creating a well-defined job description for each position in your organization. Instead of posting a job title with a generic description, think carefully about what the position really requires. For the first few hires in a startup, this often involves both technical expertise and independent decision-making. There’s a difference in completing assignments under strong leadership and making executive decisions without guidance. This can be a new experience even for seasoned professionals. Finally, it’s essential to understand and develop an effective compensation plan. When you’re feeling the growing pains of a startup, it can be tempting to use overcompensation as a strategy to ensure you’ll hire good employees for your small business. But getting people on board with your company is only the first step; without room to grow, both professionally and financially, your relationship with them won’t be a lasting one. . The same principle applies to future employees: Having accurate compensation research helps you ensure that employee salaries are in line with their contributions, leading to more satisfaction for both you and your employees. 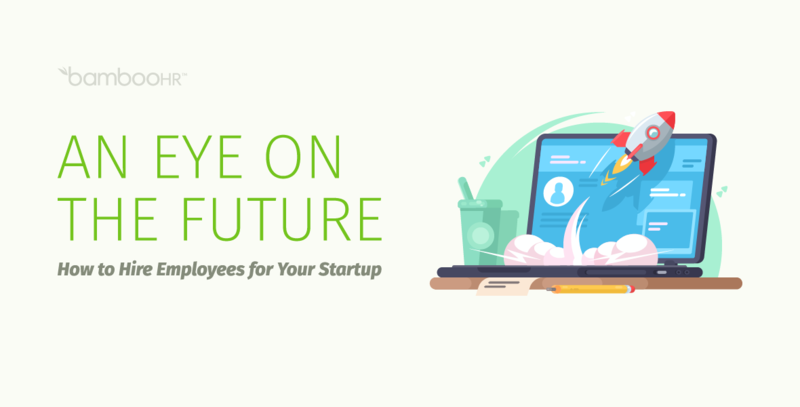 It takes deep thought and care to plan out the present and future of your startup. But the more you put into this process, the better your job candidates can align their careers with your business’s mission, vision, and values. Alignment makes it more likely you’ll create a strong, effective company culture as you hire your startup’s first employees and scale your operations. For more on the technical side of bringing on new employees, check out this BambooHR infographic on effective onboarding. 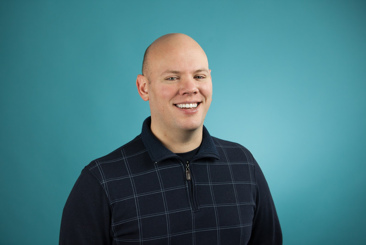 Brian Anderson is an HR Copywriter with BambooHR, a full-service, cloud-based HR management software system. His work explores employee engagement, total rewards, and how core HRIS software connects with every aspect of HR. You can find more from Brian at https://www.bamboohr.com/blog.